A San Diego eye care specialist can help align eyes and correct problems with strabismus. Strabismus is commonly known as crossed eyes. It is actually a disorder in which the eyes don’t align properly. One or both of the eyes may turn in, out, up or down. While commonly associated with children, it can affect adults too. An estimated 4 percent of Americans are diagnosed with this condition. Find an eye care doctor specially trained in correcting vision. Locate an office near you in the San Diego area. Vision is a complex sense that relies on incredible cooperation between our eyes, eye muscles, and brain to receive and interpret the images around us. Having images from both eyes is important in providing a wide field of view and depth perception. This is known as binocular vision. When the eyes do not line up properly, the brain is actually getting two different visual messages which can be confusing. Childhood strabismus may be present from birth or the result of an underlying medical condition. Adults can develop strabismus following neurological problems, trauma, or as the result of an underlying condition such as thyroid disease. In young children, strabismus is especially worrisome. The unaligned eyes will send the brain two separate messages. To correct for this, the brain may ignore the image from the misaligned eye to avoid double vision. 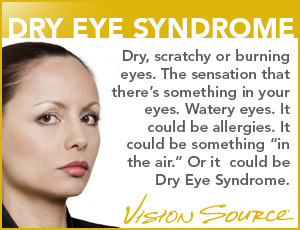 This will lead to poor vision development of the misaligned or weaker eye. In adults the condition can actually interfere with sight and depth perception as well as communication, with eye-to-eye contact being a key factor. In both children and adults this condition can be treated. While the indication of strabismus may be readily apparent or easily recognized, it is important to determine the underlying cause and to create a treatment plan that will correct the problem and strengthen vision. Patient History – to determine general health problems or environmental factors that may be contributing to the symptoms. Visual Acuity – measurements are taken using a distance chart which measures visual acuity (commonly identified as a fraction such as 20/20). Refraction – your optometrist will test how your eyes refract or focus light. This can be done manually with a phoropter, a multi-lens tool, or with an automated instrument. Alignment and Focus – your doctor will assess how well your eyes focus, move, and work together. Examine Eye Health – internal and external structures of the eye are examined and tested to detect indications of an underlying disease. Eyeglasses or contact lenses to correct underlying vision problems that are causing misalignment. Prism lenses to alter the light entering the eye and help reduce the amount of turning the misaligned eye needs to do to look at objects. Vision therapy to improve eye coordination and focus. This is a structured program prescribed by a doctor to train the eyes and brain to work together more effectively. Eye muscle surgery to alter the length or position of the muscles around the eye to improve alignment. Additional treatment options may still be needed to improve eye coordination and reinforce alignment.